ORLANDO, Fla., Feb. 10, 2016 (DNA PR) — Emmy-Award winning Director Nick Nanton, on behalf of DNA Films along with Jeff Hays films, will be offering a free online pre-screening of the Emmy-Award winning film “Visioneer.” The viewing will be available from February 11-20, 2016 at www.VisioneerMovie.com. 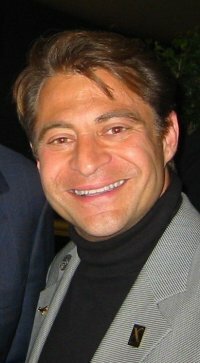 “Visioneer” tells the story of Peter Diamandis’ vision to create the “X Prize,” a $10 million contest meant to encourage the creation of new space vehicles and a whole new space industry. Peter dreamed of outer space his whole life. But since the days of his childhood, when the Apollo program was at its height, America’s excitement for the exploration of space has waned, even if Peter’s obsession never did. He set out to find a way to kick-start the next evolution of spaceflight, inspiring people all over the world to look to the stars again. Through hard work, passion, and a never-say-die attitude, Peter and his colleagues managed to overcome hurdle after hurdle to create the Ansari X Prize and help usher in a new era of private space flight. The film features interviews and commentary from Sir Richard Branson, President Bill Clinton, will.i.am, Anthony Robbins, Ray Kurzweil, Ross Perot Jr., Dean Kamen, and many other visionaries. The Suncoast Chapter of The National Academy of Television Arts & Sciences nominated “Visioneer” for several Emmy Awards ® categories including Director, Audio, Editor and Photographer. Dicks + Nanton Productions won two Emmy Awards® including Nick Nanton for Director, and Carlo Alberto Orecchia, Chris Low, Parker Yates, and Ramy Romany for Photography. View the trailer and register for the free online pre-screening for “Visioneer” here. A 4-Time Emmy Award Winning Director, Producer and Filmmaker, Nick Nanton, Esq., is known as the Top Agent to Celebrity Experts®. Nick serves as the CEO of The Dicks + Nanton Celebrity Branding Agency, an international branding and media agency with more than 2200 clients in 33 countries. Nick has produced large-scale events, documentaries, and television shows that have featured the likes of Sir Richard Branson, Anthony Robbins, Steve Forbes, Ivanka Trump, Brian Tracy, President George H.W. Bush, Jack Canfield (Creator of the Chicken Soup for the Soul Series), and many more. Nick is recognized as one of the top thought-leaders in the business world, speaking on major stages internationally and having co-authored more than a dozen best-selling books, including the Wall Street Journal Best-Seller, StorySelling™. Nick has been seen in USA Today, The Wall St. Journal, Newsweek, BusinessWeek, Inc. Magazine, The New York Times, Entrepreneur® Magazine, Forbes, FastCompany.com, and has appeared on ABC, NBC, CBS, and FOX television affiliates around the country, as well as E!, CNN, FOX News, CNBC, MSNBC. Nick is a member of the Florida Bar, a voting member of The National Academy of Recording Arts & Sciences (Home to The GRAMMYs), a member of The National Academy of Television Arts & Sciences (Home to the EMMYs), and The National Academy of Best-Selling Authors. Nick spends his spare time serving as an Elder at Orangewood Church, working with Young Life, Downtown Credo Orlando, Entrepreneurs International and rooting for the Florida Gators with his wife, Kristina, and their three children, Brock, Bowen and Addison. I wonder what the story line will be when Sir Richard decides he has sunk enough into SS2 and pulls the plug. Unlike Elon Musk and Jeff Bezos his pockets are not deep enough to keep such a failure going without outside investment. Will Peter Diamandis take credit for Blue Origin and/or SpaceX? I dunno. It’s a good question, though. Starting the trailer with Rutan talking about how the U.S. developed nine new launch vehicles in the 1960’s doesn’t really help the movie. They’ve spent the last 11 years trying to get Rutan’s hybrid motor to work. SpaceShipTwo will take longer to get to space (suborbital space!) than it took NASA to complete the entire Apollo lunar program. And Mercury and Gemini as well. They’ve also killed more people on the SpaceShipTwo program than NASA did in all three of those efforts. We got to the moon because the people who developed these programs understood how to build rocket engines. They knew that was the most crucial element. They didn’t skimp or take shortcuts in development and testing. We’ve been stuck on the ground for 11 years waiting for the glorious era of space tourism to arrive because Rutan didn’t understand that. And because the X Prize didn’t care how the winner got there. Actually, I haven’t looked at the film online, I was just looking at how much PR Nanton gave himself in the press release. But that’s Hollywood. Paul Allen spent $20 million to win the $10 million X Prize. The only leftover from the competition is VG and they ain’t going anywhere. I thought they would close shop last year, but it seems they have a bit more life left. Gaetano already has that locked up. targeted at $15m and that a reasonable proportion was raised within the first year or so? Am I also right in thinking that this initial sum was then used to fund a certain individual’s tour of the global, ostensibly to raise the remainder? As the $10m X-Prize purse was eventually raised by ‘betting’ a substantially smaller sum with an insurance company, would it be true to say that this ‘noble effort’ was of no benefit to the X-Prize… though it may well have provided benefits to others? So what your saying was it was all a scheme to get more money. That wouldn’t surprise me much. According to Diamandis and Maryniak, it was hand to mouth for years trying to raise the funds. That’s the official story. Anyway, the timing of this film is good. The 20th anniversary of the Ansari X Prize — the prize that made all the other prizes possible — is coming up in May. A few weeks before that, Virgin Galactic will pass a fairly depressing milestone. The program will have gone on longer than the length of time between Kennedy’s speech proposing a moon landing and the splashdown of Apollo 17. No, I truly believe that most of those originally involved in setting up the X-Prize were driven by a genuine desire to foster radically improved space access. The fact that raising the whole amount proved far more difficult than first thought should be seen as evidence of their business naivety, rather than any nefarious intent. However, it would be no big surprised if an individual with a rather large ego also saw it as an opportunity for a bit of self-promotion. According to the film, the Halloween crash that killed Mike Alsbury was SpaceShipTwo’s only fatality. Appalling. Strictly speaking, this could be considered a true statement since the motor was only a component of SS2, not the system as a whole. Nevertheless, when two technicians died from nitrogen asphyxiation on 19th March, 1981, NASA made no attempt to hide the fact that the fatalities were associated with the Shuttle program and incorporated the lessons learned to prevent future incidents. Denying or hiding such mishaps suggests either ignorance, arrogance or something even worse. Either way, it helps no one in the long run… especially when the industry is in such a nascent state. Yep that’s what I meant. If 90% of people have good intentions it only takes that 10% to screw it all up for their own agenda’s. Nick Nanton is a celebrity branding and marketing expert. This film fulfills that purpose for Peter Diamandis and the X Prize Foundation. As a branding and promotional tool, it’s really well done. It should be seen on that level. That half the press release tells you about Nick is no mistake. He’s really saying, hey, look at the branding film I’ve created about Peter. I can do the same for you. If you’re looking for any sober analysis of what Peter and the X Prize have actually achieved, where they’ve fallen short, and the actual legacy of the Ansari X Prize….you won’t find that here. If you’re looking for a comment from Peter about the SS2 crash, you won’t find that, either. It’s left to Stu Witt to comment. Based on this film it looks like Paul Allen is being marginalized in the story of SpaceShipOne. He is only mention once in a brief statement by Burt Rutan that he funded SpaceShipOne after Burt Rutan decided to go for the prize. This is a very different story from the one Paul Allen tells in his autobiography where he sought out Burt Rutan before there ever was a prize to build a small one person spacecraft. How sad. I suspect it is. The page that shows the film provides different options for ordering it. And you need to give them your email although it does allow you to opt out of email promotions. The timing also overlaps the planned unveiling on the new SpaceShipTwo. It also reveals they paid only $3.5 million for the insurance policy that paid off on the prize. Actually there are only three programs that lasted longer, the Soyuz, the Space Shuttle and the ISS. And most of the time spent in those programs were involved operational flights except for the ISS which, if you date it to President Reagan’s announcement in 1983 to first launch in 1998 was 15 years of R&D. I agree, but one story that Peter Diamandis tells illustrates his powers to persuade, and his ego. He tells in the movie of how as an medical intern he was called into the office of the Dean and told he wasn’t focusing enough on his internship to graduate with his MD. He states he made a deal with the Dean, if he allowed him to graduate he promised he would never practice medicine. The Dean agreed. A agree, this is all about building the cult of Peter Diamandis and not about the legacy of the Ansari X-Prize or SpaceShipOne. Its both an advertisement for Nick Nanton’s work and appears timed to also capitalize on the roll out of SpaceShipTwo. The hype machine is being turned up. I bet Peter will be there for it. and the Lunar X prize ..